It certainly must lead to seriously interesting conversations at family get-togethers and holidays. And the debate could last for hours, far longer and deeper than Stephen A. Smith and Max Kellerman on ESPN or Skip Bayless and any talking head that he’s paired with on FOX. Alan Kashian is the oldest and the first member of the talented hoop wizards who remarkably all come from the same extended family. Kashian played for Secaucus High School in the late 1980s and later tickled the twine during his playing days at Stevens Tech, tallying more than 1,000 points in both stops. No question Kashian believes he’s the best hoopster of the family lot. And he’ll be the first to tell you so. But one of the youngest members of the amazing family is laying claim to the title – and deservedly so. Amanda Ulrich is Kashian’s niece. And if you ask Amanda who the best basketball player is in the family, she won’t hesitate to tell you either. 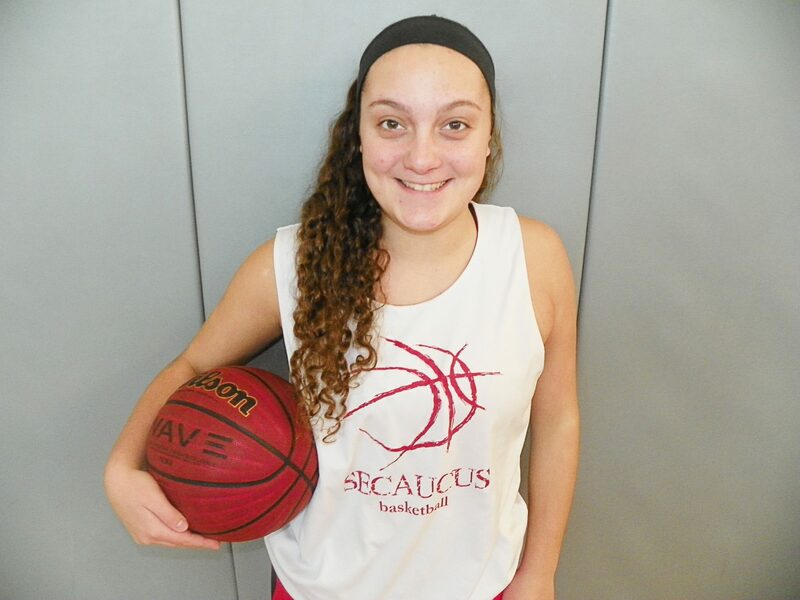 Ulrich, currently a senior at Secaucus and an exceptional member of the great Secaucus girls’ basketball team, earned a title last week that gives her bragging rights in her family for a little while. On Jan. 17, Ulrich scored 31 points in a 61-20 win over New Milford. The point total, tying a season-high, gave Ulrich enough points to surpass Andrea Innis as the school’s all-time leading scorer. Innis tallied 1,903 points during her career. Ulrich now has 1,925 career points. Ulrich also joins the 1,000-point club in her own family. Well, first there’s Amanda’s older sister Kristina, who tallied more than 1,400 points in her career that ended just a few years ago. If we continue with the family lineage, there’s Ulrich’s cousin Cory Roesing, the former Secaucus three-sport sensation and former 2006-07 Hudson Reporter Female Athlete of the Year who is currently the Secaucus head girls’ volleyball coach. Roesing was once the all-time leading scorer at Secaucus, tallying more than 1,800 points before Innis broke Roesing’s record. There is more. Ulrich’s aunt, Sheila Ulrich Rivera, the former volleyball coach, scored 1,000 points as a basketball player during her days at Secaucus. And another cousin, Kyle Schlemm, is also a member of the 1,000-point club. Wait, there’s another waiting in the wings. Another cousin, Aaron Kashian, Alan’s son, is the leading scorer on the current Secaucus boys’ basketball team and is rapidly approaching 1,000 points for his career. It means that seven members of the same family will all have scored 1,000 points during their high school careers at Secaucus. That’s truly remarkable. Now, Amanda Ulrich is approaching an even more eye-popping milestone. Sometime next week, Ulrich should score her 2,000th career point, becoming the first-ever Secaucus hoopster to ever reach the plateau and only the fifth girl in Hudson County girls’ basketball history to score 2,000 points. Ulrich has enjoyed a great senior campaign thus far, averaging 24 points, seven rebounds and five assists per game for the 12-1 Patriots. Recently, Ulrich had 22 points, eight rebounds and seven steals against Harrison, tossed in 27 points, grabbed 13 bounds and had four assists against Ridgefield, had 23 points and five steals against Bergen Charter and had 31 points, seven rebounds and five assists in the aforementioned win over New Milford. For her efforts, Ulrich has been selected as The Hudson Reporter Athlete of the Week for the past week. It marks the second time in her high school career that Ulrich has been selected for the weekly honor. Secaucus head girls’ basketball coach John Sterling knew from an early age that Ulrich was going to be a special player. Some years ago, Sterling took all of his girls to a local shooting competition that was organized by Secaucus Recreation during the summer months. Also in the competition was a third grader named Amanda Ulrich. Ulrich said that it always helped having an older sister who was a great player. Sterling said that Ulrich, who has already signed her national letter of intent to attend St. Leo’s University in Tampa, Florida in the fall, was very determined coming into this season. Ulrich said that she takes great pride being a team captain now.